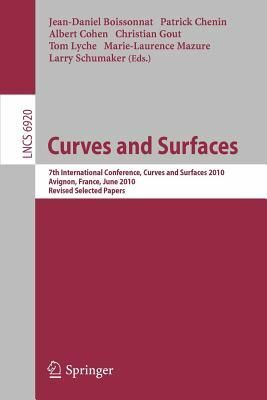 This volume constitutes the thoroughly refereed post-conference proceedings of the 7th International Conference on Curves and Surfaces, held in Avignon, in June 2010. The conference had the overall theme: "Representation and Approximation of Curves and Surfaces and Applications." The 39 revised full papers presented together with 9 invited talks were carefully reviewed and selected from 114 talks presented at the conference. The topics addressed by the papers range from mathematical foundations to practical implementation on modern graphics processing units and address a wide area of topics such as computer-aided geometric design, computer graphics and visualisation, computational geometry and topology, geometry processing, image and signal processing, interpolation and smoothing, scattered data processing and learning theory and subdivision, wavelets and multi-resolution methods.